Leveling from 1 to 10 was extremely fast, even for me- including reading and catching up to stuff, looking and exploring around and making sure to get into all regions within a zone. After that, it seems to slow down- but not necessarily in terms of gaining a level, but in terms of gaining meaningful progression. Jiangsun is fighting in the Redridge Mountains right now and has another 8 quests to go for the achievement. Just as many have noticed, characters outlevel the zones they’re in quite quick- although i have to say i finished the “main storyline” in Westfall just the same. It would be great if WoW would mark important storyline quests in our questlog, that way, we’d know what to prioritize if we want to experience zone story content. But this might just be coming later. What lies beyond that hill? 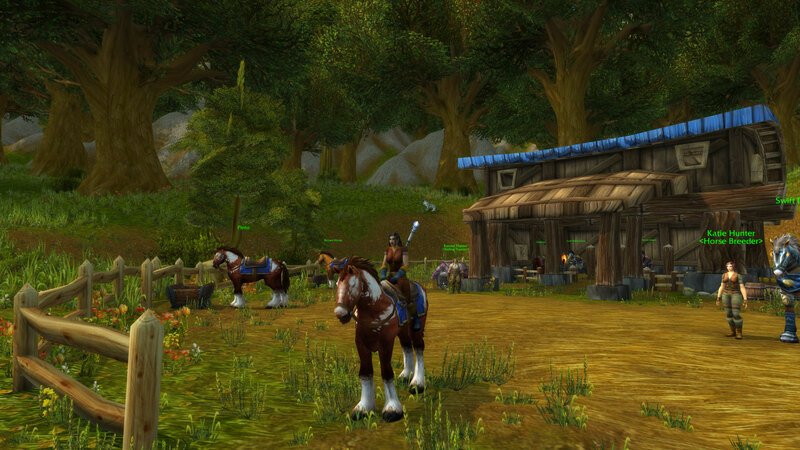 As i’ve mentioned earlier, WoW succeeds in blending the open world feel with a crafted experience. When i entered the Redridge Mountains, i saw the vista in the picture above. There’s no mark on your map, there’s nothing really dramatic about it, but you climb that hill, staying on the road because it’s faster, and when you reach the top you’ll get a view of the lake and small town close by. The designers clearly expect us reaching the lake from this direction, but they aren’t funneling us to do so- if you’d wanted, there are many other ways to reach that lake. 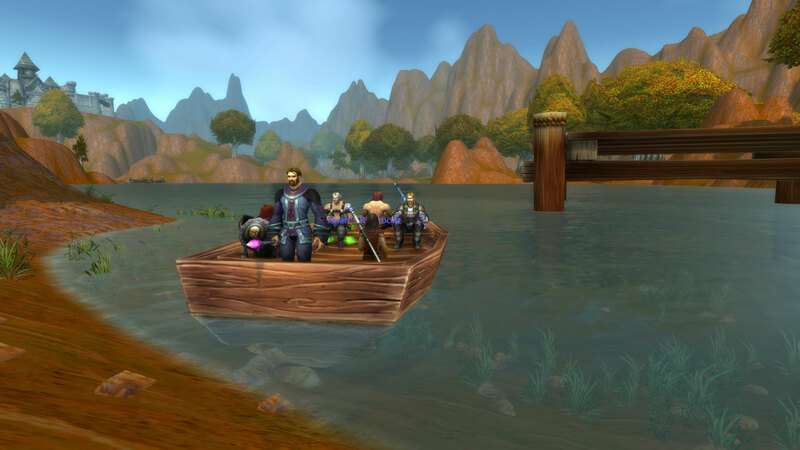 World of Warcraft gives direction without funneling or forcing anything on us. If my return to WoW has taught me something, it’s that WoW’s success doesn’t seem to rely on that “easy gameplay” or “casual friendliness” nor that it offers better systems than other MMOs. What’s staggering is the quality and thoughtfulness of what’s there. Nothing seems to be random or left to chance, most possible player interaction seems to be accounted for. It is no wonder that it takes them years to craft content and that they want to keep flying players in check. The presentation is top-notch. It almost feels like those “set pieces” of SWTOR, but in a large, open world. As you can see, i’m impressed by this game. There’s another thing i find interesting- while many MMOs have chased the “WoW feeling” and achieved at least parts of it or surpassed it in terms of systems and features, World of Warcraft seems to be the only game acknowledging the aging of their players. WoW’s 12 years old; if you were 12 when you started, you’re now 24 and possibly studying or maybe working in a full-time job. If you were 24, you’re 36 now and might have kids and responsibilities. As much as you’d wish to be able to, you’re probably not playing these games in the same way as you used to. 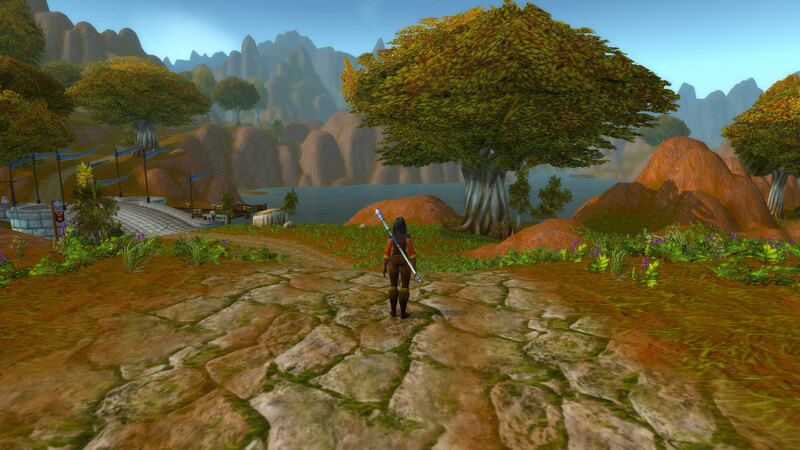 World of Warcraft seems to have changed with us, while others depend on the same mechanics or try to account for that in other ways (like dungeon finders, level scaling, shorter leveling times). With WoW, it’s not the leveling time- it’s about the options available to you and the goals you can set for yourself- like going for Loremaster or Explorer, collecting mounts, pets, titles and now looks. Sure, it’s all tied to fighting and possibly a lot of grind, but it can also be broken down to achievable goals- for instance, i have no chance of achieving Loremaster or Explorer anytime soon, but as my main goal for returning to World of Warcraft is wanting to see as many landscapes as possible, i know i’m making progress in that direction whenever i “finish” a zone. I know i won’t be able to do this on one character or in the next few weeks/months, but still, this is my “real” progress meter. …after 0 hours /played. I’ve thought quite some time about which class to boost to 100 after i decided to purchase Legion. There are five classes that interest me- those with healing specs. So that’s Druid, Monk, Paladin, Priest and Shaman- as of right now, i’m mostly interested in playing Discipline Priest and Enhancement Shaman. But i’d like to really “play” those, from level 1 to 100 (or 110 by that time), while still wanting access to Pre-Legion events, maybe some easier Gold and most of all, instant access to Legion content, as it wouldn’t do to buy Legion and then not playing the new content (again). I already had created a Monk and a Druid while playing my Priestess, so it was down to either the Shaman or the Paladin. In the end, i went with Lizah, the Paladin while playing Mersalla the Shaman. So as of right now, i have a stable of five characters on Argent Dawn (EU), one for each class i’m interested in playing as main characters. I plan on playing mostly the Priest and the Paladin in the coming weeks- if i can figure out what to do with the Paladin. In the end, it’s about having fun. I’ve been playing Elder Scrolls Online almost exclusively in the first six months of this year and decided to “take a walk” during summer break. I’ll return to ESO and our small guild (which is in summer break, so no bad conscience here) for sure, but i guess i also plan on playing WoW regularly. I so want to see the WotLK landscapes.